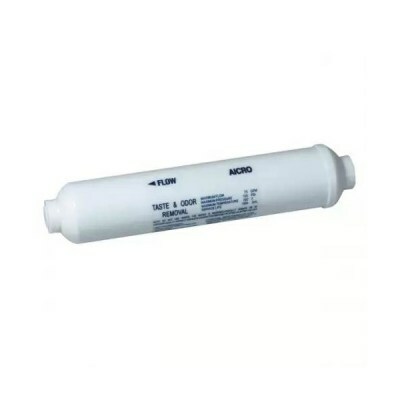 The Watts AICRO In-line water filter is commonly used and a post-filtration taste and odour filter for reverse osmosis systems. The Watts AICRO contains Coconut Shell Granular Activated Carbon (GAC) and highly effective at improving the taste and odour of water by removing chlorine, chemical disinfectants, chemical disinfectant by-products, organic materials and other parameters which create bad odours and tastes from your drinking water. Alternatively the Watts AICRO is commonly used as a standalone filter for under-sink drinking water filter systems, as a American-style fridges filter (external type), or as a filter for boats, caravans, motor-homes, drinks machines, water coolers, ice makers and so on. 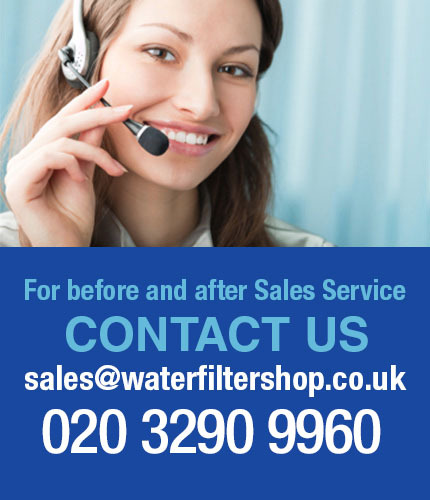 The Watts AIRCO has a filter lifespan of approximately 6 months and capacity of 6000 litres - whichever comes first.